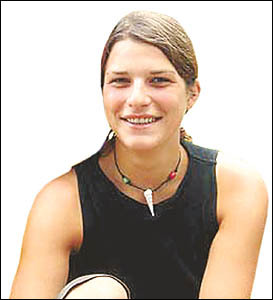 LISMORE Coroner Michael Knock has asked the NSW Coroner to intervene and speed up the release of post-mortem findings on the death of German tourist Simone Strobel. Mr Knock has also backed the police handling of the investigation. "I am happy to say police are doing everything they can," he said. Police were not withholding information from the public, Mr Knock said. If anything, they had been very open and forthcoming. However, he revealed that he had now instructed police not to release any further information at this stage. Simone's intact body was found by a police dog handler on Thursday, February 17, under a pile of palm fronds, next to the busy Uralba Street footpath linking Lismore Square Shopping Centre to the CBD, in the grounds of the Continental Club. She had been missing for six days, during which time police and SES volunteers launched three separate searches. Simone, 25, a kindergarten teacher, was in Australia for a 12-month working holiday with her boyfriend, Tobias Suckfuell. The couple were staying at the Lismore Tourist Caravan Park ? 90 metres across the road from where her body was found. Simone had gone for a short walk just before midnight on Friday, February 11 but never returned. Mr Knock said police continued to devote huge resources to the case and were keeping him well informed about the progress of the investigation. He said he had heard many of the 'ridiculous rumours' circulating about the circumstances of Simone's death. "I have heard the story about her being cut in pieces and placed in a shopping trolley," he said. Mr Knock said it was because of this kind of false speculation and the high level of public concern in the Northern Rivers community that he felt the release of the post-mortem results should be fast-tracked. "I have raised my concerns with Mr Abernethy (NSW Coroner) in a conversation and in a letter and I am waiting for a response," he said. Mr Knock said the workload in the Division of Forensic Medicine attached to the Glebe Coroner's Court was such that post-mortem results were routinely taking nine to 12 months. He said the long wait for all post-mortem results was 'a continuing source of frustration'. "It may sound callous, but for them this is just another file to deal with," he said. Mr Knock said the forensic pathologists undertaking the tests on Simone's body worked under the NSW Health Department. They are responsible for doing all of the post-mortem reports on deaths in Sydney, as well as those from all of the major regional centres. "They would argue they have a considerable workload and will release Simone's results when they get to them," he said. "They have not yet given me the cause of death or any interim findings. "We can't speculate as to whether Simone was murdered until we have established the cause of death." Mr Knock said even if he were to receive post-mortem results in the near future, he may still choose not to release them to the public. "It would depend on where the police were up to with their investigation at the time," he said. "If, for example, they were close to making an arrest, I would not want to compromise their investigation by releasing anything. I would need to make that decision at the time." Mr Knock said he had instructed police working on the case not to release any further information to the media about Simone's death. "This is an investigation on behalf of the coroner, and under the Coroner's Act it is an area over which we have jurisdiction," he said. "Police are working at the direction of the coroner for the benefit of the coroner." Mr Knock said post-mortem examination results and toxicology results were not released as a matter of course. "And even if the interim findings are released they still might not give a clear cause of death," he said. "For example, they might say the cause of death is 'yet to be determined' or 'unknown' or 'awaiting results of toxicology testing' or 'traumatic injuries' without specifying them. "The early release of an interim post-mortem examination may not provide the answers people are seeking." 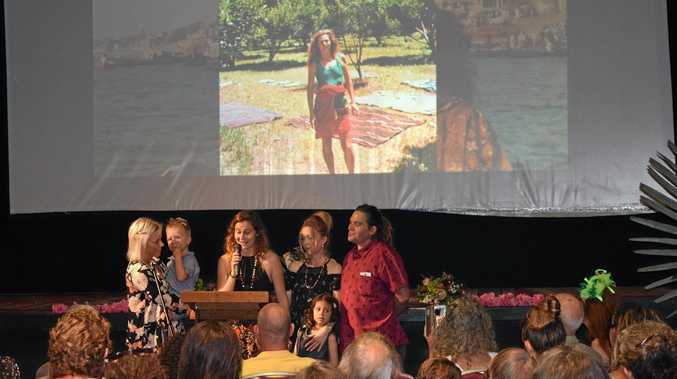 News "TRIBAL sister and warrior woman” honoured by friends and family. premium_icon Sun peeps out from behind clouds, but how long will it last?